"The author of these 'Reflections' brings to his task the fruits of a lifetime's study of international politics in general and Communism in particular....His critique is couched in moderate terms and he wisely resists the temptation to claim infallibility for his own earlier judgments. There is no Fukuyama-like triumphalism here, but rather a sage realization that Communism could still make a comeback in some other form: 'as time passes since the downfall of the Soviet empire, celebrations of the final victory of capitalism appear more and more premature'. 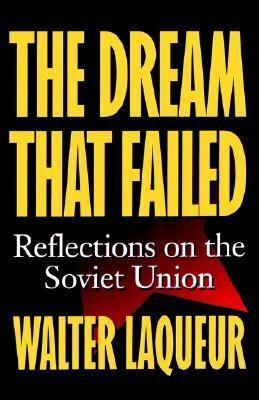 "Laqueur, Walter is the author of 'Dream That Failed Reflections on the Soviet Union', published 1996 under ISBN 9780195102826 and ISBN 0195102827.